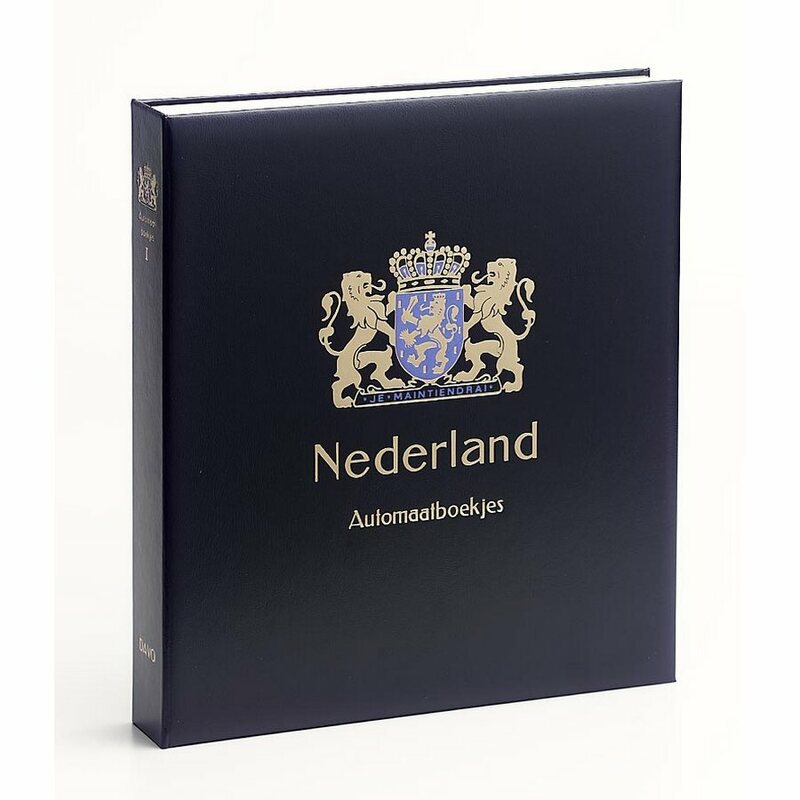 DAVO Printed Albums Netherlands ATM are available in Luxe, Standard versions to classify the stamps issued between 1964 and 1994. Optimal comfort for the collector. A complete solution! Each country is accommodated in one or more volumes, according to the number of stamps issued.The price for each volume of the Luxe albums are inclusive of the binder, slipcase and pages of luxe quality with mounts. High capacity, Superb quality, Excellent value for money! – A finely-woven navy blue binder with the brass screw heads of the peg fittings easily accessible on either side of the spine. – A blue protective case. The price for each volume of the Standard albums are inclusive of the binder, slipcase and pages of standard quality without mounts. This album offers all the advantages of high capacity (the whole country always in one or two binders), superb quality, handmade to the highest specifications, attractive cover design, selected stamp illustrations, professional lay-out, protective slipcase, and above all, superlative VALUE FOR MONEY.